With the changing scenarios of automated prospecting and the evolution of modern sales process, it has become a necessity for marketers and salespeople to adopt the right sales automation tools for selling better and faster, enabling them to close more leads than ever before! Wondering how sales teams can be successful in the modern age? Read here! That said, you have to first schedule a meeting with your prospects or get them to book a meeting with you in order to sell to them. And scheduling meetings or sales calls can be time consuming, frustrating, and costly in the modern age. So how do you manage to do that? How about getting a tool to make it quick and easy for you? The Meetings feature of a Sales Automation platform lets you book sales meetings with your prospects, without the back-and-forth of scheduling meetings through emails or calls. It also lets your prospects book meetings with you, enabling maximization of sales automation outreach. Sounds cool? Let’s have a closer look into the features of a Meetings tool from B2B sales automation, and why your business needs it. The Meetings feature offers you a full control over who can book a meeting with you, at what time, and for how long. Well, if you think that’ll make your life a lot easier, that’s not all! You can also configure and change this as and when you wish, and set up your availability in your meetings settings. 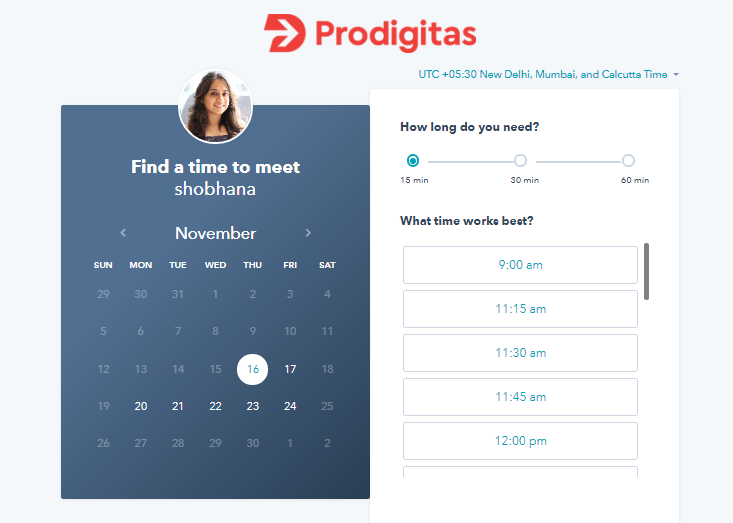 To take the hassle further out the process of scheduling meetings, you can now share your meeting link directly with anyone who you want to book a meeting with and let them choose from your available times. Share your link individually with your prospects, add it in your CTAs, blogs, or put it in your email signature to let anyone book a meeting with you. Can it get any better than this? Now, there’s no need for you to create contacts manually while scheduling meetings with new contacts. When a meeting is booked by a new prospect that isn't already in your contacts database, a new contact will be created for them automatically through the meetings form. You can also customize the questions on the meetings form so you can get the desired data that you need regarding the prospects and their needs. You don’t have to juggle between different platforms and can continue using the calendar that you’re most comfortable with while leveraging the features of the meetings tool. The meetings tool integrates with your Google Calendar and your Office 365 calendar as well. You can view your upcoming meetings there and new meetings are automatically added as appointments to the calendar. Plus, you’ll receive an email heads up. The meetings feature also integrates with the contacts in your CRM. You can book a meeting with an existing contact in your CRM. This feature is also compatible with the Google Calendar integration so you can check your availability, book a meeting through your calendar, and set reminders as well. This is yet another efficient way to connect with your prospects and get them to book a meeting with you. With each meeting you create, you’ll have an embed code. With the help of which, you can embed the meetings widget onto one or more pages of your website. This allows visitors to book time with you easily, right while they're on your site, and you’re still on their mind! Need to create team meetings? Now, you can create group meetings as per the availability of the entire team and include multiple members of your organization. If that isn’t possible, then you can also create a round robin availability meeting that allows your prospects to meet with the first member of your team that's available during the time that works best for them. HubSpot Sales Pro is one of the best sales automation tools available, which lets you connect with your prospects easily, book sales meetings effortlessly, and without any hassle. It also lets you put the power to book meetings in the hands of your prospects, making them feel smart and more willing to interact with you. Need assistance with the setup of HubSpot Sales Pro Meeting Tool? Connect with the sales expert at Prodigitas or book a HubSpot Sales Pro demo! We, at Prodigitas equip small and mid-size B2B marketers and business leaders with world-class & enterprise grade marketing automation technology, strategy and services to generate demand and manage growth.